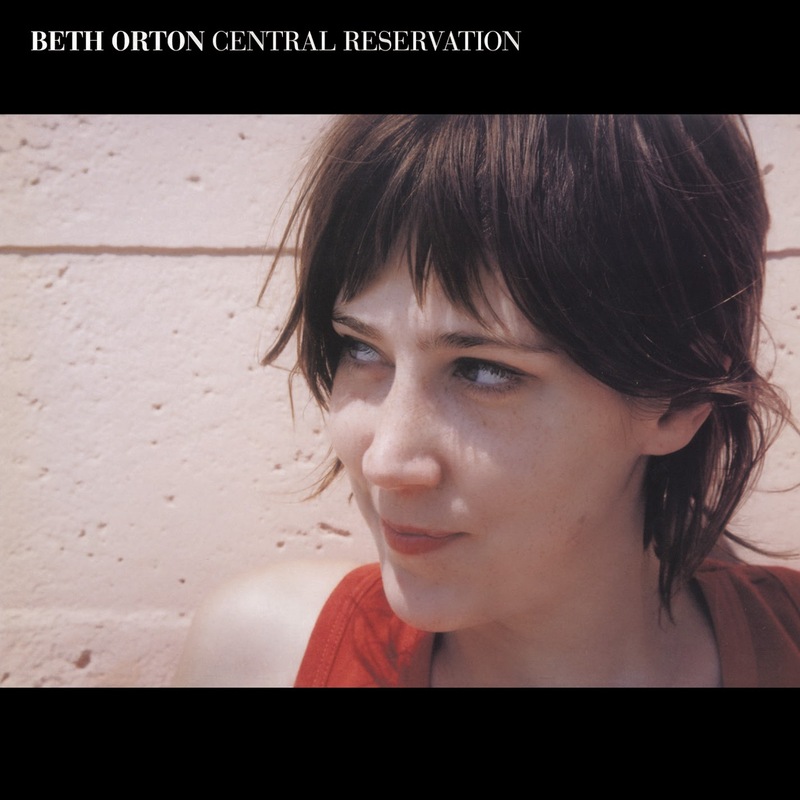 Beth Orton's Central Reservation album will be re-issued by 3 Loop Music as a 2CD expanded edition to be distributed in the US by MVD Entertainment Group. Released in 1999, the album received a Mercury Music Prize nomination and helped Beth earn a BRIT Award in 2000 for Best British Female. The follow up to Beth's acclaimed debut Trailer Park, Central Reservation featured the hit singles "Stolen Car" and "Central Reservation" and spent 56 weeks in the album charts, selling over 500,000 copies. The album is also featured in the book 1001 Albums You Must Hear Before You Die. Re-issued for the first time with a second disc of bonus material compiled by Beth, the album contains key b-sides, including the "Spiritual Life Ibadon" remix of the title track plus unreleased live recordings and demos. The expanded packaging includes brand new sleevenotes and a new interview with Beth. She recalls, "Listening back to the record now, I enjoy hearing the melodies and how I played with them and the words. The making of records is often a period of redemption for me and the recording of 'Central Reservation' was the actualising of all my most positive hopes and wishes." In 1968, under a haze of publicity, The Beatles opened their collective door to all manner of musicians, writers and artists. 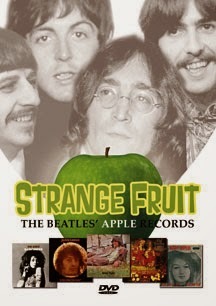 Strange Fruit: The Beatles' Apple Records is the story of a record label which came to exist under extraordinary circumstances, produced some extraordinary records and was operated under the most extraordinary guidelines. "Pleasantly surprising in its detail, 'Strange Fruit -- The Beatles' Apple Records' should satisfy the die hard fans of the Beatles, as well as more casual music enthusiasts looking for balanced, informed account of the last throes of the band and their risky, curious venture of running a label." "This is an excellent overview of an often overlooked aspect of the Fab Four's legacy. Easily earning a Highly Recommended rating, it's perfect for the purist and novice alike. Today, many artists have their own boutique label. Sadly, few seemed to have learn the lessons taught to them by the biggest band in the history of music - and their own egoinfused folly." "An excellent documentary film which has been well researched and edited. With experts like Apple biographer Stefan Granados, it presents a great insight into Apple Records and will be a fab addition to any fan's library." I received sad news earlier this week that singer-songwriter Allan Goodman had passed away on May 21, 2014 after a long battle with cancer. I met Allan back when I was writing the local music column Orange Pop that appeared on Fridays in the Show section of The Orange County Register. He was a terrific songwriter and frontman and opened for acclaimed artists including Nils Lofgren, Loudon Wainwright III and Marcus Eaton. I had not spoken to Allan since summer 2006 (around the time of the release his outstanding self-titled 4-song EP), but his music was deeply affecting and his wide-ranging skills at writing and delivering sterling songs will make sure his legacy endures. You can read a powerful full-length remembrance penned by Drew Kennedy here. For this special evening, Rocky Athas, Scott Holt and Jeff Simon all are appearing to support Trout as he recuperates at the Nebraska Medical Center following a long-awaited liver transplant. On May 26, the donor came through, and Trout is now recuperating from surgery. Scott Holt shares, "I've respected and admired Walter's playing since his days with John Mayall. He's an incredible, fiery guitarist, a great entertainer and a tremendous talent." Jan Paris offers, "Walter Trout's heartfelt tribute to the late-great Luther Allison is just one example of Trout's musical virtuosity. Wishing Walter a fast and full recovery, so he can get back to doing what he does so well, play The Blues." 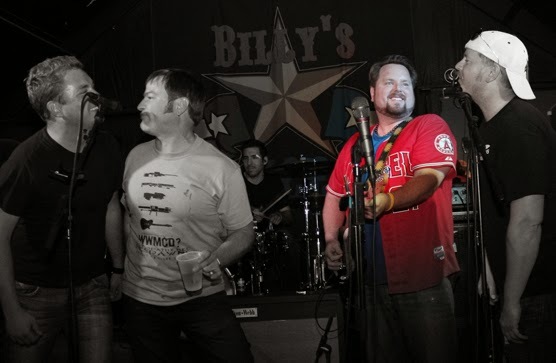 Rocky Athas adds, "Not just a great musician...but a man of real character" The emcee for the evening will be Brian Cadey, a veteran radio correspondent with a rich history in the Blues from tenures at CBS Radio and BMP's House of Blues Radio. 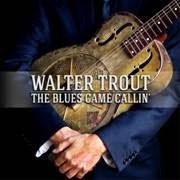 Walter Trout's THE BLUES CAME CALLIN' captured Trout looking back at an almost 50-year commitment to playing and singing the blues. The album was recorded throughout 2013, and the songs reflect Walter's thoughts about mortality and his renewed appreciation for being alive. Amongst the twelve new songs, ten are originals. One is written by John Mayall for the occasion, and the other is a J.B. Lenoir cover. Trout searches his soul on this album and lays it bare allowing the celebration of his career to be infused with new appreciation for life. THE BLUES CAME CALLIN' was produced by Walter Trout and Eric Corne. An EPK can be screened here (with an embedded link provided below): http://youtu.be/btiS6ijncMk. The upcoming official biography Rescued From Reality - The Life and Times of Walter Trout is co-written with British music journalist, Henry Yates. The manuscript will be released simultaneously with the new album. The book features previously untold stories, and is packed with rare photographs from the musician's personal archive. It documents an initially blissful childhood, shattered by divorce, abuse, and violence. As the story unfolds, it leads us through Walter’s life of heartache, poverty, living on the street and being “the only white guy” struggling in famous blues bands in LA in the late 1970’s. Walter reflects on his time in the 1980’s when nobody cared to hear the blues, to being “discovered” and having long-time gigs as a hard-playing and hard-drinking and drugging globetrotting sideman with Canned Heat and John Mayall. The book chronicles how Walter eventually became drug-free, broke out on his own and embarked on a solo career in 1989. Trout recently offered, "To play my music for people has become even more important to me. When I think about looking out into the crowds of people and connecting with everyone on a soul level, and sharing the experience of music with them, this is what keeps me fighting to get back: My family and my music is my lifeline. These days, it means more to me than ever before." Hailed as pioneers of the alt-country/Americana sound, the Jayhawks emerged from Minneapolis' mid-'80s scene with a soaring combination of folksy harmonies and power-pop melodies. The band's status as a major influence, as well as that of being one of the best bands of its generation, are richly deserved. The July 1st release of expanded versions of 1997's SOUND OF LIES, 2000's SMILE and 2003's RAINY DAY MUSIC complete the band's remastering of its entire back catalog. All three American Recordings/UME releases contain bonus tracks, new liner notes and expanded booklets. The albums also chronicle the band's evolution into crunchier rock, purer pop and a sort of twangy, psychedelic vibe before coming full-circle with a spare country-rock sound. SOUND OF LIES, SMILE and RAINY DAY MUSIC will also be released August 5th as deluxe, 2 LP vinyl editions to ensure maximum fidelity. The deluxe vinyl reissues will be remastered on 180 gram heavyweight vinyl and also include the bonus tracks. The Jayhawks formed in 1985 when Gary Louris was in the decidedly small crowd at the first show future songwriting partner Mark Olson did with bassist Marc Perlman and Norm Rogers (the first in a string of drummers, at least until Tim O'Reagan joined in 1995). A self-titled album was released on a local indie label and Minneapolis' Twin/Tone released some of the band's demos as "Blue Earth" in 1989. Legend has it that producer George Drakoulias (Black Crowes) heard the music in the background during a phone call to the label; Drakoulias eventually signed the band to Rick Rubin's Def American records and produced "Hollywood Town Hall" (1992) and "Tomorrow The Green Grass" (1995), making the Jayhawks staples on the then-emerging adult-alternative radio format. Olson, the folksier member of the songwriting team, abruptly left the band in 1995. The band regrouped and kept the name, but Olson's departure and a divorce colored Louris' dark lyrics of the subsequent Jayhawks album, "Sound of Lies." With pianist Karen Grotberg as a permanent addition and harmony partner, Louris took advantage of his newfound freedom to experiment with '60s pop and a more electric sound, even getting a little crunchy around the edges on "Think About It." Louris' lyrics took a more optimistic, albeit cautiously so, turn on the ambitious "Smile," produced by Bob Ezrin (Pink Floyd, Lou Reed, KISS, Alice Cooper). Jen Gunderman stepped in when Grotberg left to raise a family, and this time Louris' ventures into contemporary pop featured looping and overdubs, turning downright trip-hop on "Queen of the World," "Somewhere in Ohio" and "(In My) Wildest Dreams." 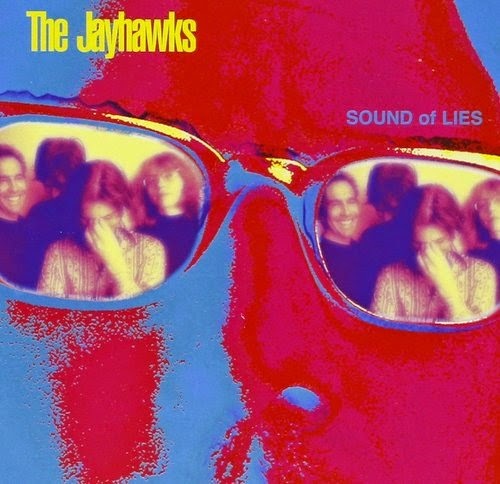 It may have been an artistic triumph, but even with the twangy "Better Days" and "I'm Gonna Make You Love Me," the album proved to be a bit much for fans of the Jayhawks' earlier sound and came after the decline of the adult-alternative format. The headline on a New York Times story about the band asked, "What If You Made a Classic, and No One Cared?" It was after an acoustic tour that Louris, Perlman, O'Reagan and guitarist Stephen McCarthy recorded 2003's "Rainy Day Music," a seeming return to form. The first four tracks are a mini masterpiece -- the gently chiming "Stumbling Through the Dark" (written by Louris and Matthew Sweet), the twang-meets-"Eve of Destruction" feel of the soaring "Tailspin," the country gospel harmonies of "All the Right Reasons" and the catchy, bittersweet "Save It for a Rainy Day" (if you're trolling the songs on YouTube, that is indeed Mary-Louise Parker in the video). Instead of the earnest folk of the Jayhawks' early days, there's a sophisticated, spare sound and a Byrds/CSNY/Buffalo Spingfield vibe. Producer Ethan Johns' credits speak for themselves -- CSN, Ryan Adams, Kings of Leon, Ray LaMontagne, Crowded House, Laura Marling just to name a few. It will be the basic lineup from the band's 1997 shows -- Louris, Perlman, O'Reagan, Grotberg and Kraig Johnson -- that will tour in support of the reissues. Much of July and part of August will be spent on a mix of headlining and festival dates in Europe, followed by a fall tour of the U.S. and Canada. Confirmed dates follow; for a current list of shows go towww.jayhawksofficial.com. 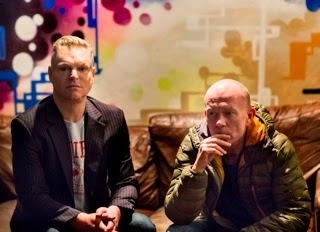 * previously commercially unavailable in the U.S.
ERASURE--Vince Clarke and Andy Bell--have announced details of a brand new album, THE VIOLET FLAME, out on Tuesday, September 23, with a worldwide tour this autumn. Recorded in New York and London and produced by Richard X, THE VIOLET FLAME follows 2013’s critically acclaimed Snow Globe. It marks the band’s 16th studio album release. The first single from the 10-track album will be released in mid July. Before the world tour, ERASURE will perform at CarFest in the UK on August 1 (Cheshire) and August 22 (Hampshire). THE VIOLET FLAME will be available for pre-order at www.pledgemusic.com/erasure beginning at 5 am EST on Wednesday, May 28. The album will be available alongside exclusive ERASURE bundles including single, deluxe and box set formats as well as a VIP ticket bundle which will feature the album, premium ticket and meet and greet with the band. Formed nearly 30 years ago, the award-winning songwriting duo of Vince Clarke and Andy Bell unleashed on the nation a succession of both influential and chart-topping pop anthems of the ‘80s, ‘90s through to today. Songs like “Oh L’amour,” “A Little Respect,” “Sometimes,” “Victim Of Love,” “Blue Savannah,” “Star,” “Chains Of Love,’ ‘Who Needs Love (Like That),’ ‘Love To Hate You,’ ‘Drama!,’ “Always,” and “Breathe,” ensured a formidable presence on the singles charts complemented by chart-topping albums (including The Innocents, Chorus, and I Say I Say I Say) and the beginning of the worldwide Abba revival, "Abba-esque."